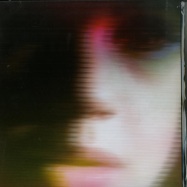 blood red vinyl in full colour sleeve, designed by danny passarella. 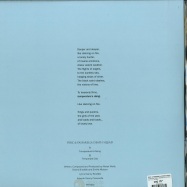 2019 repress in generic sleeve. 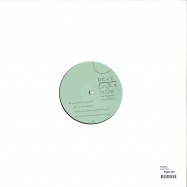 perc trax slips out its first cheeky white label in over two years, pulling together two secret weapons from perc’s sets this year. 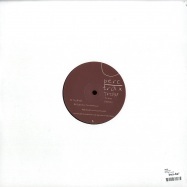 first off perc trax newcomer tymon rips into perc’s own “hyperlink” giving it a shot of adrenalin which has been eating festivals alive all summer. 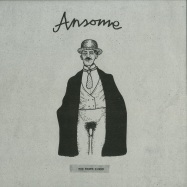 on the b-side ansome returns to perc trax for the first time since in infamous british steel release twisting manni dee’s “london isn’t england” into a grinding mass of kick drums and percussion, layering ewa justka’s vocal over one of his rawest productions to date. perc trax is proud to launch its new various artists ep series dedicated to both showcasing artists that are new to the label and offering an outlet to release individual tracks quicker, without having to wait for a full ep to be completed and scheduled. these tracks have all been a key part of perc’s sets for the last few months and are a perfect indication of where the label is right now. this first volume offers up debut perc trax appearances from rebekah and john heckle’s head front panel project whilst welcoming back label regulars manni dee and scalameriya. 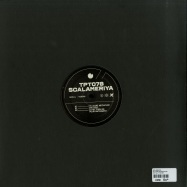 scalameriya returns to perc trax after the success of 2016’s kepslok. 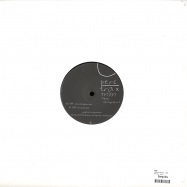 since then he has continued to break new ground both as a solo artist and via his ongoing collaboration with italian producer vsk, playing across europe and releasing on a number of key labels whilst growing his own genesa imprint. now for his first release of 2018 he takes a giant leap forward both musically and technically with the three track statement of intent that is his hellzone megapunk ep. 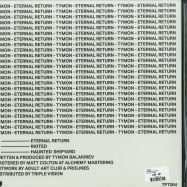 each track demonstrates new techniques and approaches not heard in his music before, from the 4/4 versus broken beat cage fight of the title track to crucible s rolling polyrhythms and the otherworldly processed vocals of the closing track. as the first perc trax release of the year this ep sets out everything the label seeks to achieve, a combination of sonic innovation that manages to keep attention fully focussed on the dance floor at all times. perc & truss’ statement of rave intent “leather & lace” returns when you least expected it, this time in the form of three new remixes from an all-star cast of producers. 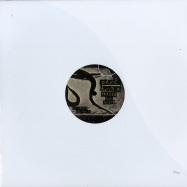 leading the charge are perc trax’s breakout starts of last year ghost in the machine who build upon their trademark kick drum volley with reese basslines, swearing pads and a stretched out arrangement that showcases all that they are capable of. flip it over and tectonic main man pinch takes a different approach with his uniquely bristolian take on techno, featuring everything from primitive computer bleeps to the kind of broken rhythms he and his label are known for. 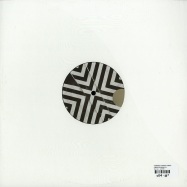 closing things off is the wildcard of the set as mumdance and logos step away from their weightless sound to serve up a tough, acid driven take that nods it’s head to the classic sounds of bonzai and eye-q. 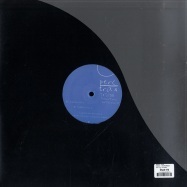 perc trax completes its duo of “bitter music” remix eps with this three tracker that aims directly for the dance floor. 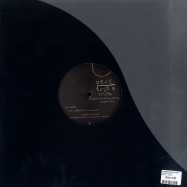 opening up proceedings is dax j, who has enjoyed a meteoric rise over the last few years and who here serves up an irresistible take on “unelected” fueled by the driving energy his productions and sets have become famous for. 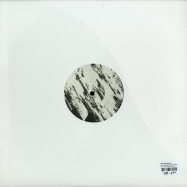 next up stroboscopic artefacts boss lucy layers shifting textures over popping kick drums for a version of “wax apple” that perfectly blends form and function. 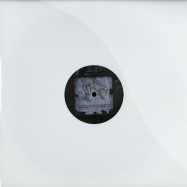 lastly matrixxman, himself another of the key break out artists of the last few years, takes control of “rat run” and morphs in into a rolling drum track built on rolling toms and topped off with dubbed out elements of perc’s original mix. 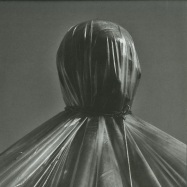 perc trax is proud to unveil its first new artist of 2009. andre ruello aka material object is originally from australia and has now settled in europe to push his producing as far as it will go. his sound is a dense, grooving brand of techno a world away from the hollow cookie-cutter mnml currently clogging up most of europe. his tracks evolve and morph as waves of effects and synths wash over the listener, all riding upon tough jerking grooves that nod to classic speedy j, luke slater and adam beyer. perc trax returns with its 2nd in the pots & pans series, this time around with tracks from misc (sender / klang / resopal), simone tavazzi (analytictrail/perc trax) and oscar (karateklub / lordag). 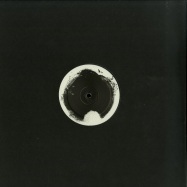 ruling over the a-side are german techno overlords misc, who when not recording for berlins sender imprint spend their time as niederflur for richie hawtins all conquering m_nus. 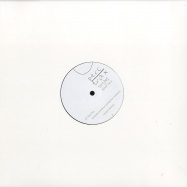 >modern times< is build on rolling ercussion grooves, a jabbing bassline and a number of short but effective breaks. 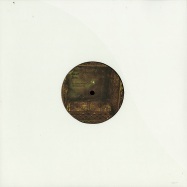 repress on coloured vinyl, housed in a generic sleeve with sticker included. 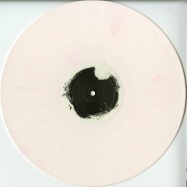 vinyl colour can be white, pink or white & pink marbled/mashed. 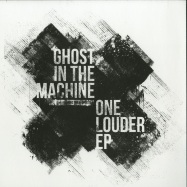 ghost in the machine return to perc trax to follow up their break out one louder ep that came out on the label last summer. since then they ve been focusing on their own genosha basic label, touring to great acclaim around europe and remixing perc & truss’ “leather & lace”, turning an already large track into a peak-time festival munching bomb. across the four tracks on their king dead they widen their sound, floating synth arpeggios over their trademark rock solid kicks and adding a deeper level of ambience that lurks with intent underneath their driving percussive sound. 2018 white vinyl repress incoming! 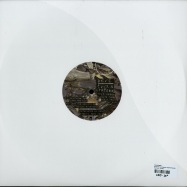 genosha basic artists, ghost in the machine make their perc trax debut! 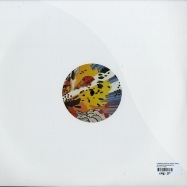 full picture sleeve perc trax returns to the dance floor after the political firestorm that was perc s bitter music with the debut release on the label from the netherland s ghost in the machine. 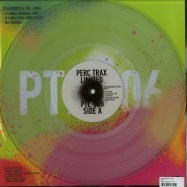 the perc and therefore perc trax name stems from the word percussion and these three drum-focused tracks sum up the label s name perfectly. 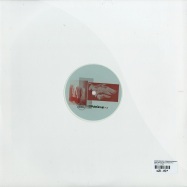 rarely appearing away from their own genosha basic imprint this ep hits as hard as anything on perc trax in recent years and along with recent releases from ansome and scalameriya ushers in a new wave of artists and a distinct new chapter in the perc trax story. the holy grill commands the whole of the a-side and charges forward until a reese led breakdown gives you a moment to pause for breath. the b-side contains two percussive workouts that have enough movement and development to them to elevate them above simple drum tools. 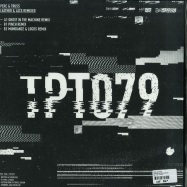 as b2 track pskdt s locked groove loops endlessly (a first for perc trax), it is clear this ep is a hard-hitting statement of intent from a duo you should be hearing a lot more on perc trax in the near future. 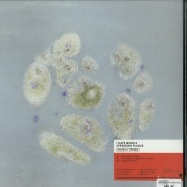 perc’s third album “bitter music” pushed his sound to further extremes than ever before when released in april of this year, winning widespread acclaim and launching a worldwide tour to support it. now the album returns with two eps of interpretations for a diverse selection of remixers most of whom are new to perc trax. this first ep of remixes takes in head front panel’s constantly building, pulsating version of deep album moment “the thought that counts”, hodge’s bristol meets london meets berlin stepping take on “chatter” and a screwfaced broken version of album opener “exit” by rising blackest ever black star pessimist. 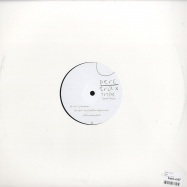 ansome returns to perc trax for his first original release since his debut album “stowaway” was released on the label in april 2016. since then he has extensively toured europe and north and south america with his ever changing modular live set as well as further establishing his south london analogue material imprint with a run of uncompromising releases. 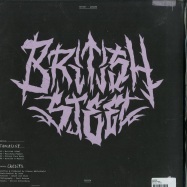 despite decamping to berlin last year “british steel” shows there is still a no nonsense uk grittiness to ansome’s music. the frenetic rhythms reflect the pressure and paranoia of london life and for the first time his music incorporates vocals, thanks to the voice of occasional live collaborator oliver kohlenberg. the four tracks take in everything from broken grooves to straight up dance floor face melters with a perfect balance of rhythm and texture. 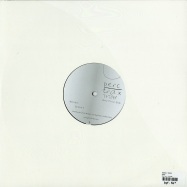 “poison your body” has been a highlight of perc’s recent dj sets for months now, whilst “marching powder” was featured on rebekah’s debut essential mix for bbc radio. 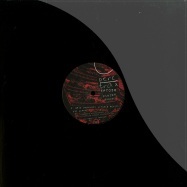 • essential repress !! the first collaborative ep from randomer and perc ! 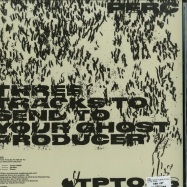 • three tracks of screw-faced north london grot ! • perc trax is proud to announce the first collaborative ep from randomer and perc, two artists working in different areas of the uk dance scene, but who share a similarly uncompromising attitude towards pushing their sound forward. • randomer s connection to perc trax has grown from his set at the perc trax boiler room session in late 2014 to his first appearance on the label with his recent remix of ansome s back alley sally . 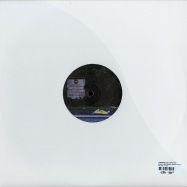 • across this ep the two producers fuse together randomer s intricate rolling rhythms with perc s aggressive snarl to serve up three tracks of screw-faced north london grot. 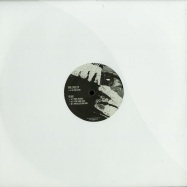 three tracks at the more extreme edge of the genre. 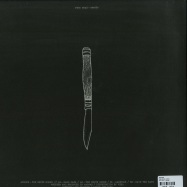 a killer 10 inch back in stock !! 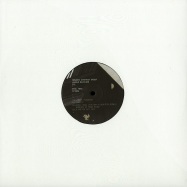 • and finally make their full perc trax debut ! 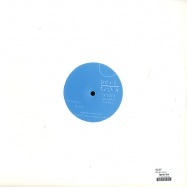 • berlin / manchester noiseniks and finally make their full perc trax debut after first appearing on the label in 2014 when they served up a suitably screw-faced remix of drax s phosphene . 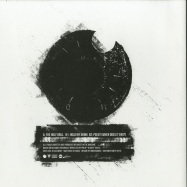 now regarded as one of the most uncompromising production outfits on the european techno scene they widen their musical vision across these four tracks without leaving behind the raw aesthetic and driving energy that has characterised their music and their live performances over the last few years. 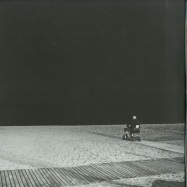 from the kind of straight up 4/4 pounders that have made the closing slot at electric deluxe s awakenings events their own, to experiments with off-kilter drums and caustic noise this ep is as good a statement of and s present and future as you ll hear all year. b2Where Are You Going To Take Me? 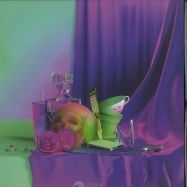 strong dj support - see below perc & truss return with * leather & lace*, their first ep in almost two years, during which time they have been busy touring europe and australia together and working on all manner of solo projects. * hardware fanatic and south london analogue material / mord artist ansome brings us his debut album for perc trax ! • first new drax material since 2002 ! 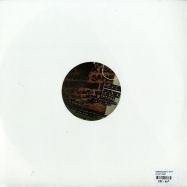 • hardware fanatic and south london analogue material artist ansmone makes his debut release for perc trax ! • fantastic new truss solo ep – the first since 2012 ! 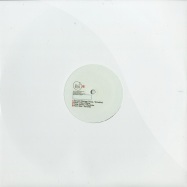 the second of the three vinyl eps featuring tracks from perc trax’s ‘slowly exploding’ compilation groups together three of the label’s main artists and closes with a producer making his perc trax debut. 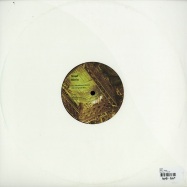 the a1 slot goes to label boss perc, whose ‘hyperlink’ builds on the sound of the dancefloor tracks of his last album with a huge kick giving way to swooping 8-bit chords whilst sawf’s ‘goves’, already tried and tested by perc over the last few months is an unrelenting breakbeat monster. 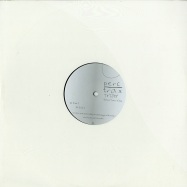 on the b-side truss delivers one of the stand-out tracks of this series, with the surgeon supported analogue juggernaut that is ‘brockweir. closing things off is drvg cvltvre, who lowers the tempo but not the intensity with one of his trademark 303 workouts. 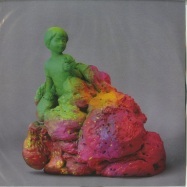 limited clear vinyl in poly bag with colour insert. excellent remixes of this techno classic from thomas heckmann! the 10 labels steven porter, collaborator arrives on perc trax with his own ep, covers everything from martial 4/4, advancements to broken beat experiments! 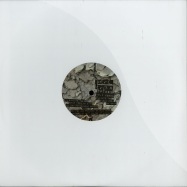 • killekill artist hits the filth on perc trax ! 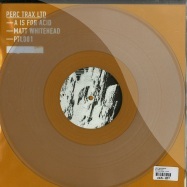 new perc trax sub-label hits hard with a re-release of matt whiteheads classic acid cut. 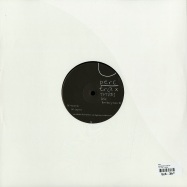 regular pressing on black vinyl. 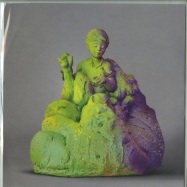 forward strategy group, one of perc traxs central acts return with their first ep since their debut album labour division was released in may of last year. 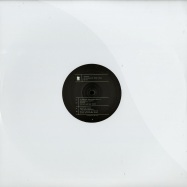 since then they have gigged around europe including gigs at berlins two temples of techno, berghain and tresor and have had their album tracks remixed by uk industrial/synth fusionists factory floor and perc traxs man in athens, sawf. 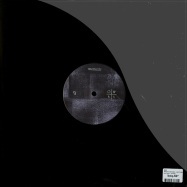 parisian techno enfant terrible mondkopf makes a rare excursion away from his fast rising in paradisium imprint to deliver an ep for perc trax, a label that clearly shares mondkopfs love for the experimental, the industrial and the distorted. 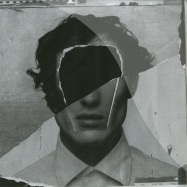 across these three tracks the french producer applies an overdriven, fuzz-heavy aesthetic to symphonic broken beat techno. 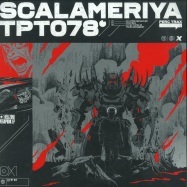 think ancient methods or perc at their most uncompromising but then expanded in every direction heavier bass, sharper highs and an orchestral edge that is epic without ever coming across as contrived. perc trax is proud to unveil the debut ep by pinion, known in a former life as us-based producer bobby dowell. pinion is the sound of a man with his own vision of music, sitting somewhere between classic industrial and contemporary techno without slavishly bowing down to either discipline. 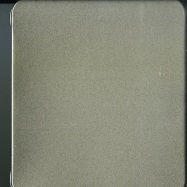 where the likes of ancient methods and perc are the sound of metal on metal, pinion is more like wood on leather, a ceremonial throb that switches in an instant from tightly locked grooves to more freeform rhythmic patterns. 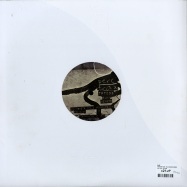 rounding off the ep is ‘hackney’, a 4/4 jackin’ acid stomper, with a sound that is at the forefront of the current uk renaissance in stripped down, in-yer-face techno. 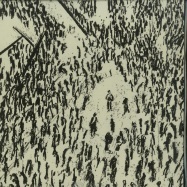 perc trax is proud to unveil the 2nd 12inch to be taken from forward strategy groups debut album labour division. 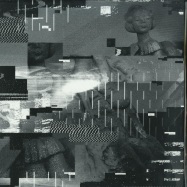 since its release at the end of may the album has received across the board dj support and press coverage with a 4/5 review from resident advisor and even a full page in the guardian about fsg and perc trax. 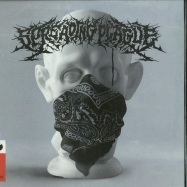 the album has also had launch parties in amsterdam and london and has seen the fsg guys crossover outside of techno to be featured in the wider music press including the quietus and stool pigeon. from his earliest demos to his current position as a key figure in the global techno scene, perc (aka ali wells) has taken the established forms of the music he loves and twisted them into something new and fresh. building up successful relationships with scene-leading labels such as drumcode, ovum, kompakt and clr whilst unleashing a strong run of releases on his own perc trax label has seen percs influence and support grow even further. with each release his sonic experimentation has taken another leap forward without losing sight of the dance floor. 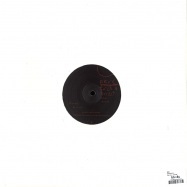 opening up the first of two wicker & steel remix eps is clr’s tommy four seven, a producer whose own debut album came out to a great response earlier this year. tommy switches start chopping’s 4/4 rhythms for his own broken beat foundation and adds a whole new world of bass to the track. 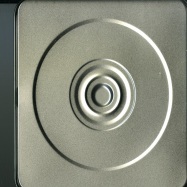 the original’s pads echo around the soundscape as each break brings back a tougher version of the beat. 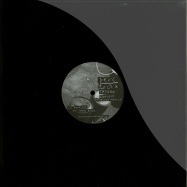 early support from marcel dettmann, dvs1, shifted, lucy, par grindvik, tommy four seven, speedy j, asc, go hiyama, xhin and many more. 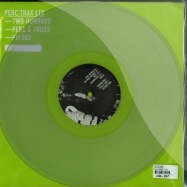 perc traxs transatlantic duo donor / truss return to the label for the follow-up to their >indifference ep< which was released at the start of 2010. since then they have recorded and remixed for a number of high-profile labels, most notably stroboscopic artefacts to which donor contributed an ep to the labels renowned monad series whilst truss appeared on the remix ep the preceded lucys debut album. the four tracks that form >endo< represent a new peak for the donor / truss sound with each individual section working as both a self-contained track and a quarter of the entire endo experience. 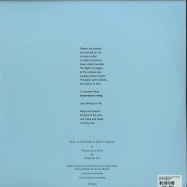 together the 4 parts join together to make a complete piece of music, stretching across 23 minutes and 2 sides of vinyl. 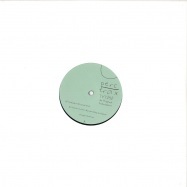 perc trax return with a 4 track ep from sawf, including remixes by marcel fengler and go hiyama. 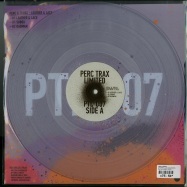 double header from perc trax feat. sawf & perc himself !! 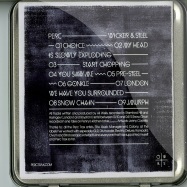 perc trax return with an ep from truss futuristic beats from outta space. 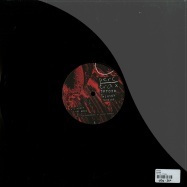 3 deep, dark and hypnotic techno-cuts by darko esser (wolfskuil) for perc tracks. perc opens up the vertigo releases with his most singleminded track in years. based around a looping, lo-fi groove bcg is both a perfect dj tool and an unforgettable lead track. occasional blasts of distortion break up the rhythmic flow but this is no clichéd white noise soaked epic, just pure heads-down basement techno. 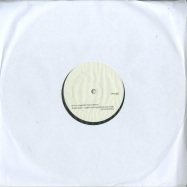 first up to remix bcg is scotlands forward strategy group, who thanks to their releases on fsg and retail & leisure have soon won the support of such techno lynchpins as marcel dettmann and surgeon. 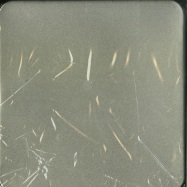 their debut perc trax release opens up with noson, a track which perfectly demostrates their sound, with tough but clear 909 drums underpinning a dubbed-out industrial soundscape that continually evolves as the track runs its course. on the flipside comes the 2-part indifference. part 1 featuring intense echoing synth stabs over clipped drums whilst part 2 goes deeper, but still with enough muscle to work in the sets of most djs. watch out for donor / truss remix of forward strategy group, coming up on perc trax in early 2010.
ed rush & nicos >defect< was originally released in 1996 on the no u turn label as the flipside to >mothership< andfeatured on the classic >torque< compilation album. no u turn not only influenced a generation of drum & bassproducers but the labels sound also resonated with techno producers around the world and that influence can still be heard today. 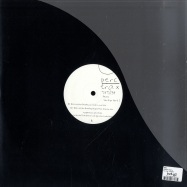 now defect returns on perc trax with 2 new mixes to form a truly unique release. this is the 1st time no u turn has granted a license for a remix and the respect that both remixers have the label is clear from the mixes they have produced. 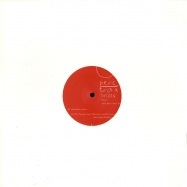 producing and releasing techno since 2002 it was xpansuls release on richie hawtins plus 8 imprint (in collaboration with alexi delano) that shot him onto the world techno stage. since then releases on ovum, soma and synewave have helped his stature grow even more. after a well received remix of percs >trapjaw< xpansul now drops his first full release on perc trax, comprising three pristinely produced slices of techno and tech-house covering a number of bases. 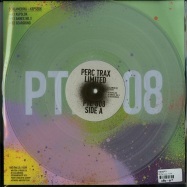 perc trax returns with its 30th vinyl release with a split ep showcasing the works of both its newest and most established acts. 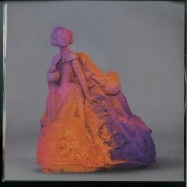 first up is ben gibson with 2 tracks that feature on his forthcoming perc trax album >in a realized luck of immanence<. 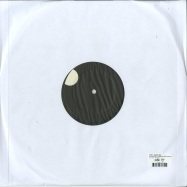 both tracks instantly demonstrate what made jeff mills sign ben to his axis offshoot 6277. bens sound is a dense, atmospheric take on the now-classic uk techno sound of surgeon, regis, ruskin etc and both the rolling bass of >vanished between< and the sharp stabs of >wirklichkeit< prove that he is an artist to watch out for. 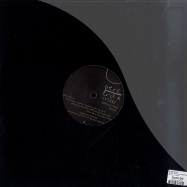 on the b-side label boss perc hooks up with the labels canadian connection metalogic to deliver 2 tracks that flit between broken beat and 4/4 rhythms with ease. both tracks feature an attention to detail that both perc and metalogic are known for with endless dubbed out synths and effects keeping the tracks interesting but never getting in the way of the crisp beats. these tracks have already been road tested around the world by perc in recent months and will be a key part of a launch party for this ep in toronto in october. misc. 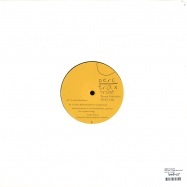 return to perc trax after the success of their wave after wave ep at the end of 2008. that ep picked up huge support from adam beyer, carl cox, paco osuna, gabriel ananda, nihad tule, derrick may, someone else, cari lekebusch, john selway, drumcell, michel de hey, jesse somfay, remute and many more. kyle geiger has enjoyed a rapid rise up the techno ranks thanks to two very well received releases on adam beyer s world famous drumcode label and a handful of high-profile remixes including reworks for marco bailey s mb elektronics label, la techno dons droid recordings and of course perc trax, where his recent remix of material object won the support of joey beltram, paco osuna, xpansul, laurent garnier, nihad tule, ivan smagghe, michel de hey and many more. perc trax is proud to present its 25th vinyl release. 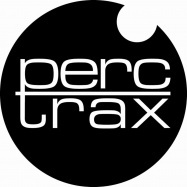 for a label initially set up as an outlet for percs own music, perc trax has somehow hit a quarter-century of vinyl releases featuring a host of a-list producers including james holden, district one, ripperton, nathan fake, go hiyama, norman nodge, avus, remute, matt tolfrey, gary beck and many more. 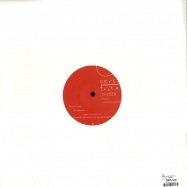 from the very first release ali percs a&r philosophy has been to sign the kind of music that he would play in a club and would like to hear others play. so who better than to step up for this milestone release than misc. whose records for sender, resopal, kompakt, klang and lost souls have been a constant presence is alis well-travelled record box. they also currently record as the popular niederflur for richie hawtins minus imprint and are working on their debut album under this name. 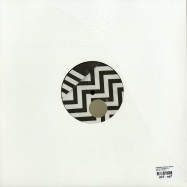 scotland s gary beck is fast rising up the techno ranks, his recent track on the run hit #3 in adam beyers chart and james holden has given heavy support to his a590 beats . 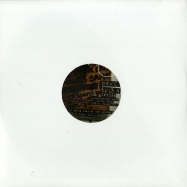 other key supporters of gary s work include sven vath, josh wink, laurent garnier and djinxx. hardware fanatic and south london analogue material / mord artist ansmone brings us his debut album for perc trax ! 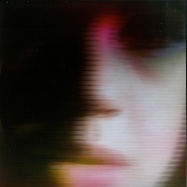 perc trax is proud to announce stowaway , the debut album from ansome. a ten track collection of brutal uk electronics which marks the next significant step in a rapid rise that has seen him become a key member of bas mooy s mord crew and play a constant run of hardware based live sets across europe. 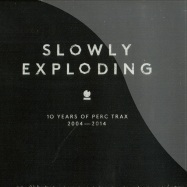 • deluxe double cd package of exclusive new tracks for the perc trax 10 year anniversary celebrations ! 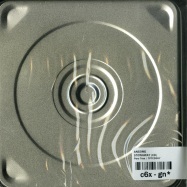 limited edition cd release of much anticipated album from forward strategy group on perc trax !! 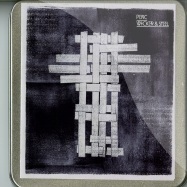 full 11 track cd album from perc trax mainstay sawf. 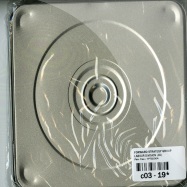 packaged in deluxe metal tin with card insert / foam insert to protect the cd. limited stock only. 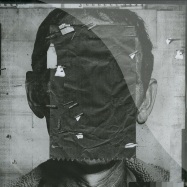 perc trax is proud to unveil the debut album from mysterious greek producer sawf. 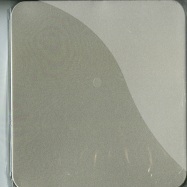 it was just over 2 years ago when sawfs first demo arrived at perc trax. the email contained little information and sawf claimed it was the first time he had ever sent his music to a label. from the first listen to those early tracks it was clear that sawf was something different. 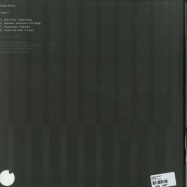 his music was tough and industrial with easily enough individuality to raise it above the then current glut of generic mnml and washed-out dub techno. 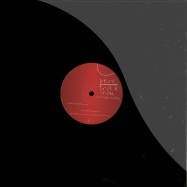 after initial releases sawfs bloody minded take on techno was starting to build momentum. 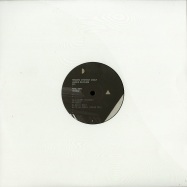 two further eps followed, each widening sawfs palette of sounds to take in house and broken beat influences without his sonic aesthetic ever being compromised. 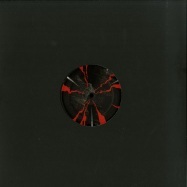 so now we find ourselves with >flaws<, 11 tracks of pure sawf. 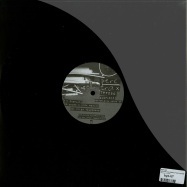 heavy rhythms, dense atmospherics and one mans crystal clear vision of how techno should sound in 2011. across the dance floor tracks, techno, house and broken beat rhythms fight for your attention as cut-up vocals and soundtrack string lines glide over the beats.